Charlotte's favourite things include (not necessarily in this order): drawing, screenprinting, coffee, collecting Japanese brush pens, colour and her very spoilt cat, Margo. 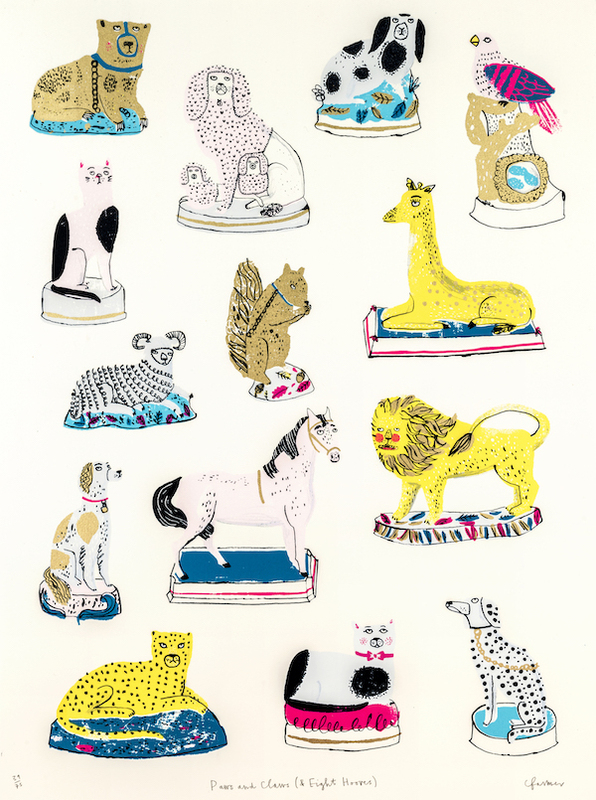 She has a drawer full of carbon paper which is used to create the detailed drawings that become the stencils for her multi layered, hand made screen prints. Charlotte's box of printing inks contains a vivid range of bright colours, sparkly metallics (made to a top secret recipe) and glow in the dark ink. 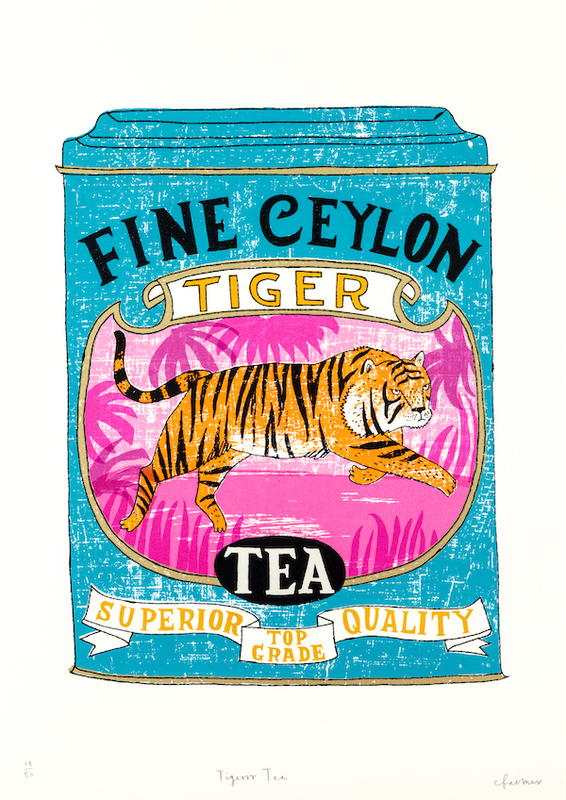 Her playful screen prints often involve collections of things from vintage tins, pottery figures or ice creams to tropical birds and animals.